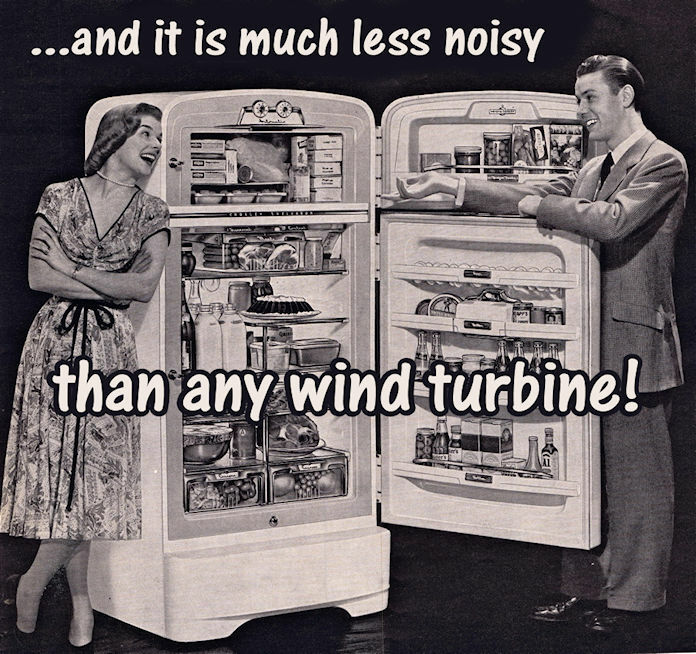 Falmouth Families Fight for Freedom from Wind Turbine Torture! Back in November 2013, we reported on the orders made by a Court in Falmouth, Massachusetts that pulled to a halt the operation of a couple of Vestas V82s that have been driving townspeople nuts, since they kicked into gear over 5 years ago (see our post here). And now, here’s the latest in a 6 year battle by locals to restore their ability to sleep in, and otherwise enjoy, their very own homes. FALMOUTH — In a stunning move, the Falmouth Zoning Board of Appeals voted Thursday night to temporarily shut down one of the town’s twin wind turbines after six years of legal battles by neighbors. The board voted 4-1 to overturn the zoning enforcement officer’s denial of a cease-and-desist order on Wind 1, which the Massachusetts Court of Appeals ruled in June had been erected without proper zoning approval. The court stopped short of ordering the turbine shut down, however, leaving that matter a question for local authorities to tackle. Neil Andersen, one of the turbine neighbors who filed the cease-and-desist request, said late Thursday that he was “feeling pretty good” about the decision. Andersen’s enthusiasm for the win was tempered, however. It was unclear Thursday when, or if, the town would shut off the turbine. The ZBA’s decision can be appealed in court; the Board of Selectmen has already done so twice over prior ZBA rulings that the turbines were a nuisance to neighbors and that the town needed to take whatever actions were necessary to remedy the situation. The turbines are already operating on a reduced schedule under a November 2013 order from Barnstable Superior Court Judge Christopher Muse. “Talk to me when they’re turned off. That’s the next step,” Andersen said. Andersen and his wife, Elizabeth, were one of three sets of neighbors whose cease-and-desist requests were scheduled for a hearing Thursday. Technically, the requests were appeals of Zoning Enforcement Officer Eladio Gore’s lack of zoning enforcement against the turbines. ZBA Chairwoman Kimberly Bielan was the sole vote to uphold Gore’s decision, said Malcolm Donald, a resident who attended the meeting. Members Kenneth Foreman, Terrence Hurrie, Edward Van Keuren and Paul Murphy voted to overrule Gore, who is also the town’s building commissioner. The board only discussed Wind 1 on Thursday; it decided to hear requests regarding Wind 2, the second turbine, on Oct. 29. Also scheduled for that day is the hearing to begin the special permit application process by the town in the wake of the Appeals Court order, which the Supreme Judicial Court declined to review. The ZBA’s ruling Thursday shuts down Wind 1 until that process is complete. Attorneys Christopher Senie and J. Alexander Watt, who represents Andersen, both spoke atThursday’s hearing, Andersen said. Neighbors also shared their stories of ill health effects and the diminished quality of life they say they’ve suffered since the 397-foot-tall turbines were installed at the town’s wastewater treatment facility on Blacksmith Shop Road in 2009. The suits brought by a cluster of neighbors were based on the town’s zoning bylaws, which exempt town buildings from the zoning permit process but don’t specifically exempt wind turbines. Although turbines don’t have to be named to be covered by that bylaw, the Court of Appeals wrote that, since the town has a bylaw specifically for wind turbines, it is reasonable to conclude that the devices were not intended to be exempt from the zoning process. Senie said it had been a long road for the neighbors but that he believes the zoning board came to realize the cease-and-desist order was the proper decision. Town officials were not immediately available for comment Thursday evening following the ZBA meeting. corruption, Corruption among Windies!, Dysfunctional wind turbines! ← Pope Has Overstepped His Authority….He’s Pushing the Global Warming Agenda!